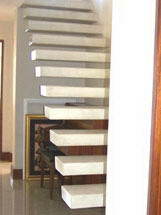 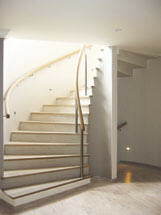 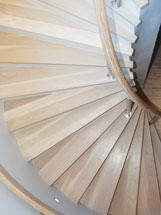 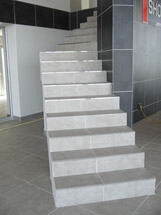 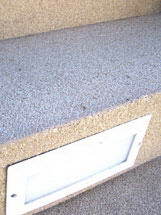 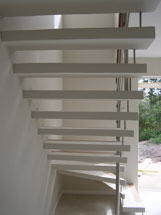 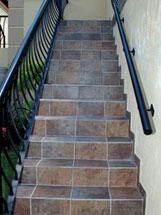 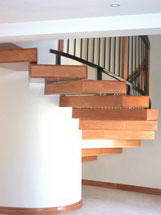 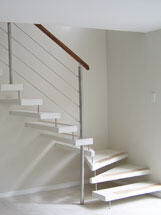 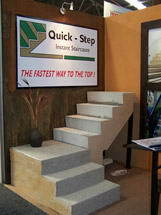 Quick-Step - The unique concept of Quick-Step is a revolutionary breakthrough in the immediate delivery & professional installation of pre-cast precision concrete steps, suspended staircases of all dimensions, cantilever stairs and walkways, that require no topping or screed, thus confirming the company's motto of "THE FASTEST WAY TO THE TOP !" 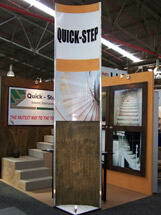 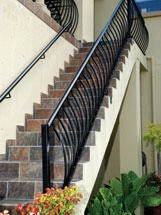 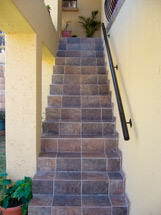 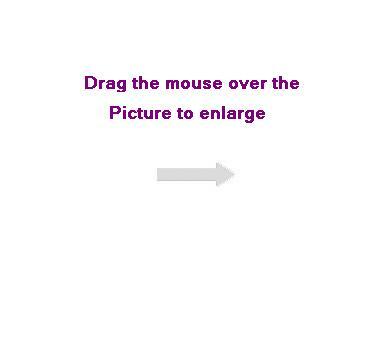 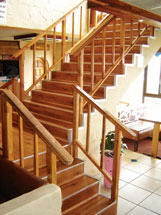 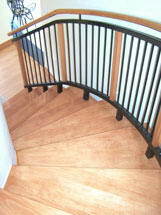 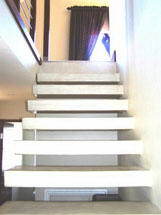 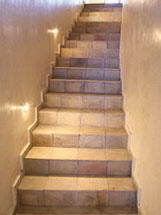 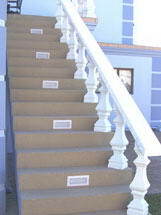 Quick-Step replaces the current boxing-method of staircasing. 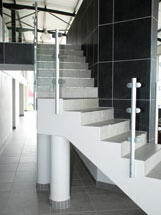 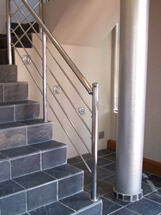 Use of high tensile steel reinforcement, complying with SABS-approved specifications, ensure that time, labour & building costs are drastically reduced.